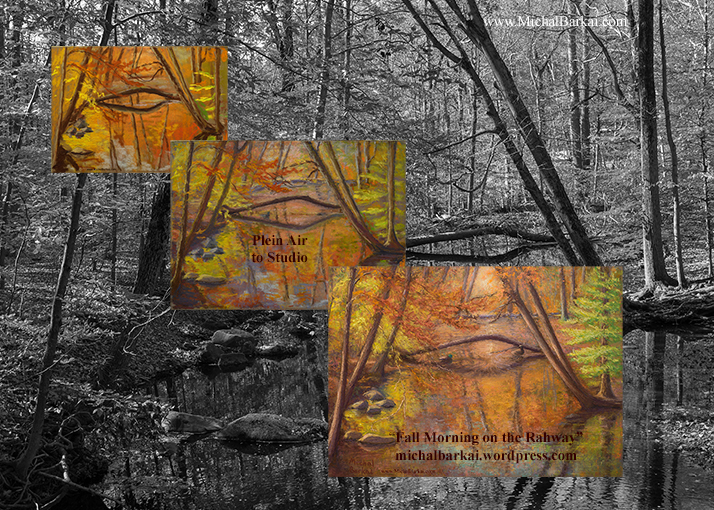 "Plein Air to Studio Progression - Fall Morning on the Rahway"
This blog focuses on my approach to and process of creating art. I will share my thoughts and experiences in regards to the painting process, digital photography, the artist life, and the business side. thoughts on planning and setting goals, art and sightseeing, and more. I add new posts several times a year and encourage you to sign up for updates. I hope you enjoy this blog and welcome your comments.